The validity of a non-compete agreement (also referred to as a restrictive covenant since it imposes a restriction on trade or commerce) will be governed by Florida Statute s. 542.335. (A copy of this statute is set forth below). 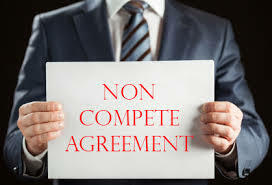 Written and signed non-compete agreements or clauses are presumptively valid if they are reasonable in time (the non-compete time period), area (geographic limitation), and line of business; these clauses cannot be overbroad. Even if the non-compete agreement is in writing and signed by the employee, it still needs to be supported by a proven legitimate business interest justifying its enforcement (e.g., learning of trade secrets or confidential business information, relationships with customers or clients, customer or client goodwill associated with the business). Stated differently, the employer seeking to enforce the non-compete agreement against a former employee still needs to establish that the enforcement of the non-compete is reasonably necessary to protect its legitimate business interests. To enforce non-compete agreements, a party (typically, the former employer) moves for injunctive relief. The case of Ankarli Boutique, Inc. v. Ortiz, 2014 WL 6674727 (4th DCA 2014) held that a two-year non-compete agreement, to the extent valid, applied from the time the former employee left the company. The case also maintained that the non-compete period could not be “nullified because the non-compete period was devoured by the time it took to appeal an erroneous ruling on the interpretation of the [non-compete] clause.” Ankarli Boutique, supra, at *1. In other words, if there is a delay in entering a ruling (i.e., an injunction) enforcing the non-compete clause, or the non-compete time period is consumed during the pendency of an appeal, the employer or party enforcing the clause is still entitled to reap the benefit of a valid non-compete clause. Thus, any delay tactic by litigating the issue or appealing the issue should not nullify an otherwise valid non-compete clause. (a) A court shall not enforce a restrictive covenant unless it is set forth in a writing signed by the person against whom enforcement is sought. 1. Trade secrets, as defined in s. 688.002(4). 2. Valuable confidential business or professional information that otherwise does not qualify as trade secrets. 3. Substantial relationships with specific prospective or existing customers, patients, or clients. c. A specific marketing or trade area. 5. Extraordinary or specialized training. (c) A person seeking enforcement of a restrictive covenant also shall plead and prove that the contractually specified restraint is reasonably necessary to protect the legitimate business interest or interests justifying the restriction. If a person seeking enforcement of the restrictive covenant establishes prima facie that the restraint is reasonably necessary, the person opposing enforcement has the burden of establishing that the contractually specified restraint is overbroad, overlong, or otherwise not reasonably necessary to protect the established legitimate business interest or interests. If a contractually specified restraint is overbroad, overlong, or otherwise not reasonably necessary to protect the legitimate business interest or interests, a court shall modify the restraint and grant only the relief reasonably necessary to protect such interest or interests. (e) In determining the reasonableness in time of a postterm restrictive covenant predicated upon the protection of trade secrets, a court shall presume reasonable in time any restraint of 5 years or less and shall presume unreasonable in time any restraint of more than 10 years. All such presumptions shall be rebuttable presumptions. 1. In the case of a third-party beneficiary, the restrictive covenant expressly identified the person as a third-party beneficiary of the contract and expressly stated that the restrictive covenant was intended for the benefit of such person. 2. In the case of an assignee or successor, the restrictive covenant expressly authorized enforcement by a party’s assignee or successor. 1. Shall not consider any individualized economic or other hardship that might be caused to the person against whom enforcement is sought. 2. May consider as a defense the fact that the person seeking enforcement no longer continues in business in the area or line of business that is the subject of the action to enforce the restrictive covenant only if such discontinuance of business is not the result of a violation of the restriction. 3. Shall consider all other pertinent legal and equitable defenses. 4. Shall consider the effect of enforcement upon the public health, safety, and welfare. (h) A court shall construe a restrictive covenant in favor of providing reasonable protection to all legitimate business interests established by the person seeking enforcement. A court shall not employ any rule of contract construction that requires the court to construe a restrictive covenant narrowly, against the restraint, or against the drafter of the contract. (i) No court may refuse enforcement of an otherwise enforceable restrictive covenant on the ground that the contract violates public policy unless such public policy is articulated specifically by the court and the court finds that the specified public policy requirements substantially outweigh the need to protect the legitimate business interest or interests established by the person seeking enforcement of the restraint. (j) A court shall enforce a restrictive covenant by any appropriate and effective remedy, including, but not limited to, temporary and permanent injunctions. The violation of an enforceable restrictive covenant creates a presumption of irreparable injury to the person seeking enforcement of a restrictive covenant. No temporary injunction shall be entered unless the person seeking enforcement of a restrictive covenant gives a proper bond, and the court shall not enforce any contractual provision waiving the requirement of an injunction bond or limiting the amount of such bond. (k) In the absence of a contractual provision authorizing an award of attorney’s fees and costs to the prevailing party, a court may award attorney’s fees and costs to the prevailing party in any action seeking enforcement of, or challenging the enforceability of, a restrictive covenant. A court shall not enforce any contractual provision limiting the court’s authority under this section. (2) Nothing in this section shall be construed or interpreted to legalize or make enforceable any restraint of trade or commerce otherwise illegal or unenforceable under the laws of the United States or of this state. (3) This act shall apply prospectively, and it shall not apply in actions determining the enforceability of restrictive covenants entered into before July 1, 1996. This entry was posted in Contract Drafting, injunctions and tagged employment agreement, injunction, non-compete, restrictive covenant, temporary injunction by David Adelstein. Bookmark the permalink.